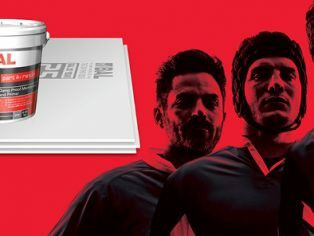 BAL tiling solutions have expanded their portfolio with two new preparation products to provide fixers, contractors and specifiers with strong and protected backgrounds for fail-safe tiling. For the first time ever, BAL have introduced a new lightweight tile backer board for all internal environments. BAL Board is a moisture and water-resistant alternative to plasterboard and timber and helps tilers tackle problem walls and floors when fixing tiles. Easy to cut and install, it provides a solid base for tiling. 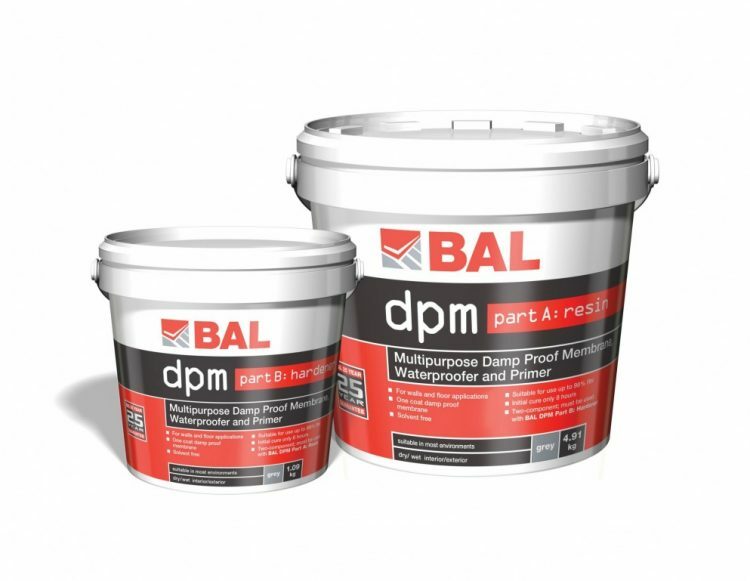 BAL is also introducing to its line-up BAL DPM – a new multi-purpose damp proof membrane, waterproofer and primer for use on walls and floors. BAL DPM is suitable for use on screeds with up to 98 per cent RH readings (Hygrometer), or up to 87 per cent RH on anhydrite screeds (or as per the screed manufacturers recommendations). BAL DPM provides a great defence against damp, moisture vapour and chemical attack. BAL Board stands out from the scrum by being 15-35 per cent lighter per m² than similar cement-based products. No specialist cutting tools, fixings or screws are required for installations. A specialist magnesium oxide tile backer board, BAL Board can proudly provide BBA approval and is manufactured under strict ISO approved quality control procedures to provide superior performance against all other backer boards. Because it can be simply cut with a craft/utility knife or sharp blade, and then screw fixed with standard stainless steel or hot dipped galvanised screws (to timber studwork) – rather than using specialist tools – costs are significantly reduced. What’s more, as well as ease of use, it provides Health & Safety benefits for the fixer with minimal dust when cutting. BAL Board is water and mould resistant and will not swell, rot or degrade over time making it ideal for wetrooms, bathrooms, kitchens and wet areas in leisure facilities. It is also suitable for use with underfloor heating. BAL Board is perfect for fixing large format wall or floor tiles. 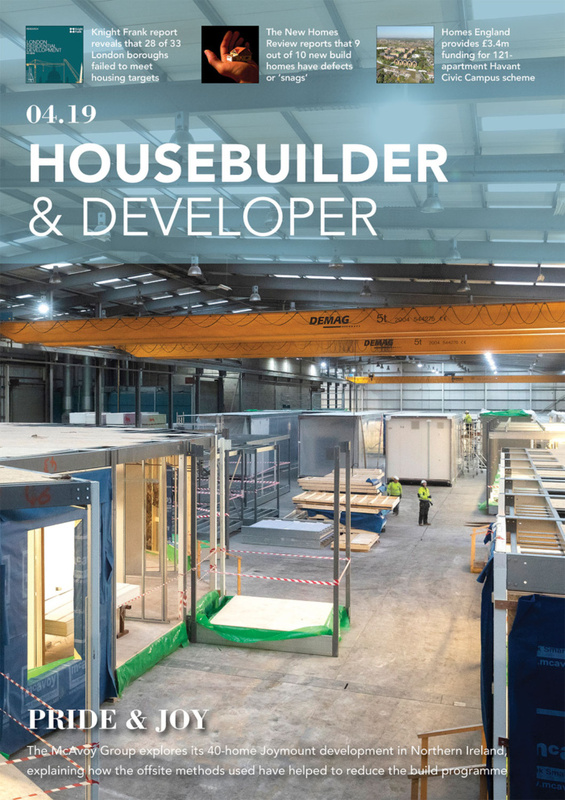 With a weight tolerance up to 100kg per m², it’s the strongest board on the market with a superior weight tolerance than plasterboard or timber based sheets. Available in 6mm and 12mm thickness, the 1200 x 600mm sized boards are easy to carry and transport. New BAL DPM is a multi-purpose one-coat DPM, primer and moisture vapour suppressant that provides an impenetrable barrier against damp and moisture vapour on floors AND walls up to 98 per cent Relative Humidity (RH). BAL DPM is resistant to water, chemicals, grease and pollutants, and can be used internally or externally either as a DPM, primer, waterproofer or residual moisture vapour suppressant. As a one coat primer with aggregate, it kicks into touch any problems with tiling onto difficult substrates as it aids adhesion onto steel, masonry and flooring grade asphalt. New BAL DPM can be used on sand:cement screeds, power floated concrete and exiting tiles on walls and floor for basements below the water table. What’s more, it can also be used on anhydrite screeds with up to 87 per cent RH, meaning less waiting and quicker tiling for fast track installations. As a residual moisture vapour suppressant, BAL DPM protects the floor covering from moisture and allows the controlled passage of moisture vapour protecting both the adhesive and the tiled surface. 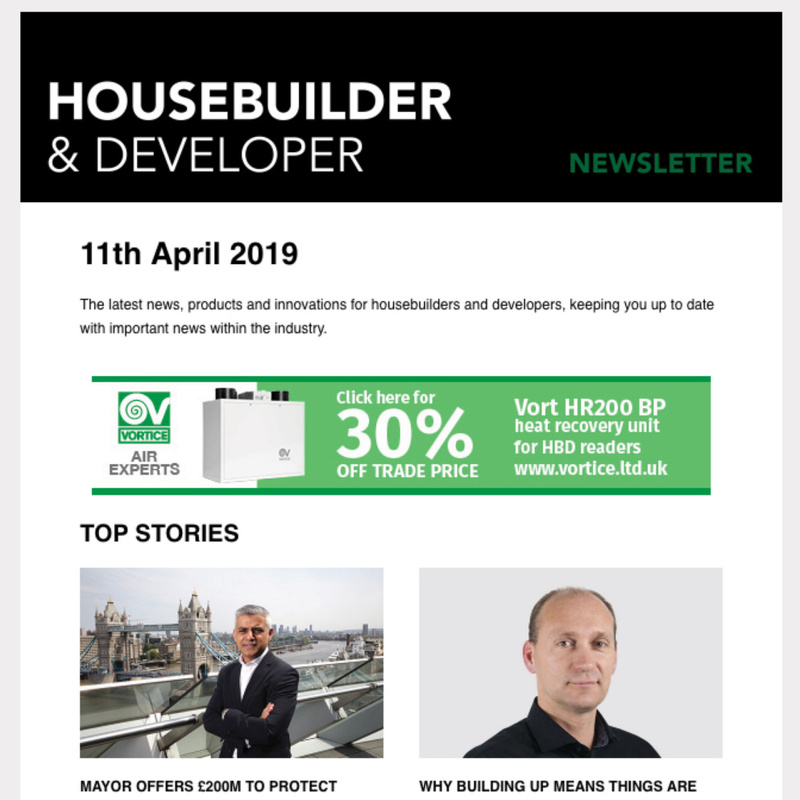 “These two new products represent a real first for BAL and help fixers, contractors and specifiers tackle problem builds head-on. “Both BAL Board and BAL DPM have been introduced after extensive trials with fixers to provide leading solutions. For more information on BAL Board and BAL DPM visit www.bal-adhesives.com/newproducts. As part of the launch BAL are also giving fixers the chance to win rugby prizes including match tickets, shirts and other great merchandise. To see what great prizes are on offer visit www.bal-adhesives.com/win.